As a semi-recent immigrant – coming up on five years now; Go Habs Go! – I find myself having different perceptions of certain brands than those around me. Take the beer Stella Artois, for example. Even after all of this time, it still makes me giggle when I see it advertised as “Premium” Belgian Beer. Back home, in the land of beer, chocolate and waffles (or Belgium, as some like to call it), Stella Artois has been around for centuries. But in Belgium, there is nothing premium about it. It’s one of the five mass-produced lager brands and is, quite frankly, perceived on the lower-end side of the quality spectrum (think Colt 45). It doesn’t help that its biggest ad campaign, from about ten years back, depicted a working class man stepping into an old around-the-corner pub. The man walks right up to the bar, chugs his Stella and lets out avery audible sigh of satisfaction. The Dutch slogan read “My home is where my Stella is”; effectively branding Stella Artois as an everyday, working class beer. So you can imagine my surprise when during the 2011 Super bowl, I saw Adrian Brody in a French jazz club, surrounded by gorgeous women, singing an ode to the beer in a fake French accent. Let’s just say that “She’s a thing of beauty”, the North-American slogan, is not exactly the phrase I would have used to describe Stella Artois. It happens the other way around as well, though. If you ever visit Belgium, forget about bringing Maple Syrup, but just offer a big box of good ol’ Oreo’s to your hosts instead. The limited availability of these all-American cookies makes them a precious commodity, and maybe even gives them a status symbol. They are known and bought primarily by young, trendy and worldly individuals: “Hipster’s favorite cookie”. And these are not the only examples - even after four years in market research, it still surprises me how volatile brand images really are, even among consumers in the same country. 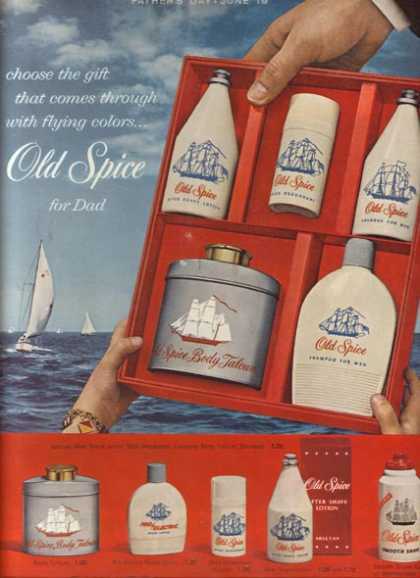 Just think of how Old Spice successfully hyped a product it has been selling for over 70 years, annihilating its “grandpa’s-soap” image and bringing it back into young men’s bathrooms. The old print ad: “Old Spice, a gift for dad"
The first of the new Old Spice commercials: "I'm on a horse!"